Are you looking for a performance-tuned coupe or convertible that promises unmitigated thrills? Look no further than the Jaguar F-TYPE. A British-made luxury model, the Jaguar F-Type is available in coupe and convertible variants that allow you to tailor the design to your lifestyle. Armed with a sleek style, potent engine options and a wealth of innovative features, the Jaguar F-TYPE is a fan favorite at Barrett Jaguar. Learn more about the latest edition with this 2018 Jaguar F-TYPE vs 2017 Jaguar F-TYPE review. Tailor-made for the driver who enjoys pure speed, the 2018 Jaguar F-TYPE sets the bar high for the competition to follow with an upgraded engine lineup, updated model spectrum and a wealth of innovative features that are not available to its predecessor. Even with all of the upgrades, the next-generation Jaguar F-TYPE sports a more affordable price that stands at $59,900. 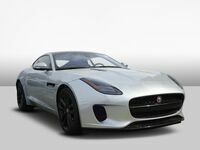 Take a closer look at the new and improved Jaguar F-TYPE and its predecessor below. Variety is the spice of life and the Jaguar F-TYPE will deliver on all counts. With Jaguar F-TYPE coupe and convertible models to choose from, you will find no shortage of options and alternatives. New 2018 Jaguar F-TYPE models are available in 10 trim levels that include coupe and convertible variants. Available trim levels for the 2018 Jaguar F-TYPE platform include the F-TYPE, R-Dynamic, 400 Sport, R and SVR grades. 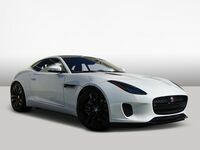 Entry-level Jaguar F-TYPE coupe models start at $59,900 with convertibles priced at just $63,000. 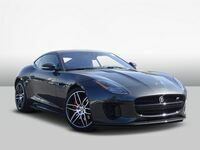 Power and performance is a trademark of the Jaguar brand and a calling card of the Jagaur F-TYPE two-seater. 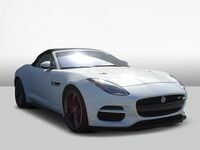 With the arrival of the 2018 Jaguar F-TYPE, the popular sports car adds an all-new 296-horsepower 2.0-liter turbocharged Ingenium four-cylinder engine to its arsenal that is paired with an eight-speed Quickshift automatic transmission. The all-new turbocharged Jaguar will be joined by a 340-horsepower 3.0-liter supercharged V-6, a specialized 400-horsepower 3.0-liter supercharged V-6 and a 575-horsepower 5.0-liter supercharged V-8 that powers the track-ready Jaguar F-TYPE SVR. With much more to offer than just performance-tuned thrills and an athletic style, the 2018 Jaguar F-TYPE adds a wealth of innovative technology. At the heart of the Jaguar F-TYPE cabin, you will find a standard eight-inch Jaguar InControl® Touch Pro infotainment system that pairs with a 380-watt Meridian sound system to deliver unrivaled entertainment and access to Apple CarPlay and Android Auto. An innovative GoPro ReRun App is an added feature that will feed drivers real-time driving information and video content. 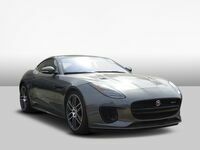 Visit Barrett Jaguar to explore the differences that are highlighted by this 2018 Jaguar F-TYPE vs 2017 Jaguar F-TYPE comparison!